Everyone is welcome to visit our airport, attend a Saturday meeting, and to join our club! 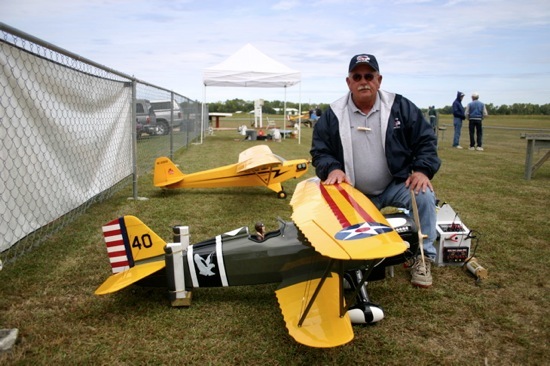 Clinton International Airport is one of the finest model airports in the Midwest, and the club members enjoy sharing their love of building and flying. At the very least, stop by the field when you see planes in the air and watch for a while. Academy of Model Aeronautics (AMA). AMA Members, you are welcome to fly at our airport three (3) times as our guest. This gives you a chance to get to know the field and facilities and meet our members. After this trial period if you wish to continue to use the airport on a regular basis, we encourage you to join the Jayhawk Model Masters R/C Club Inc.
First, follow this link to complete the online application. Once you have submitted your application, Follow this link to pay your dues online.